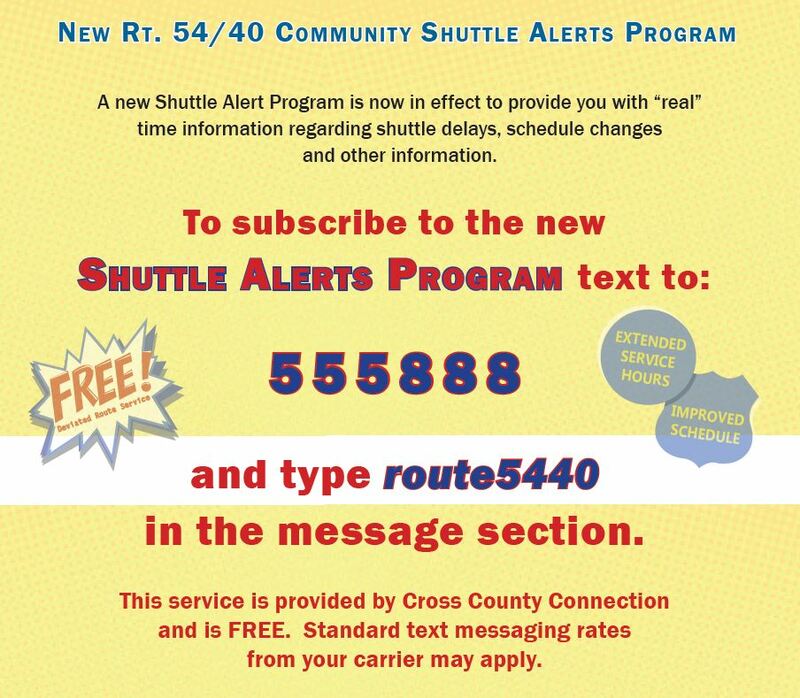 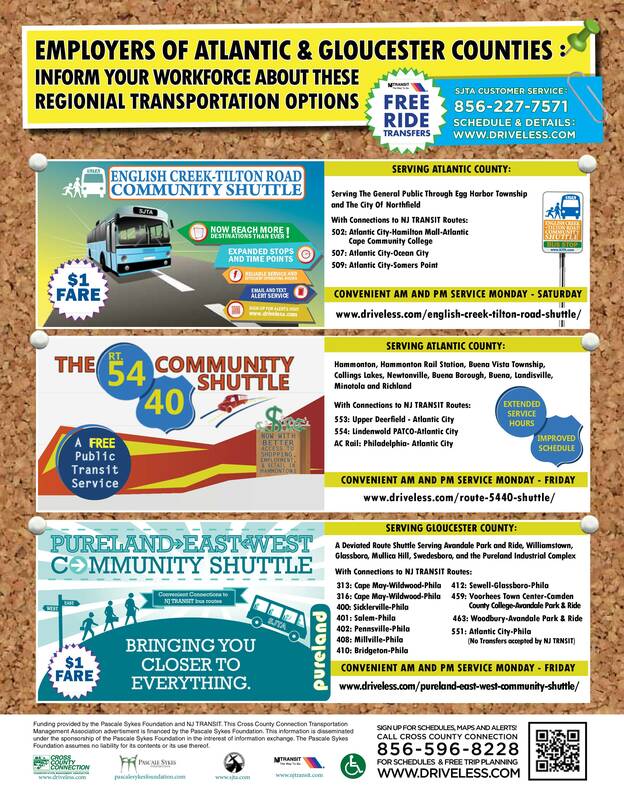 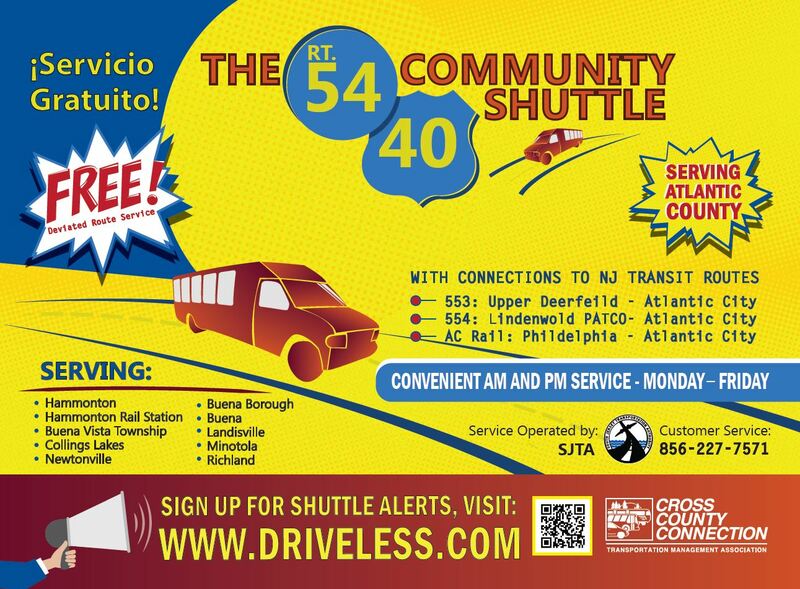 The Route 54-40 Community Shuttle operates Monday through Friday ONLY. 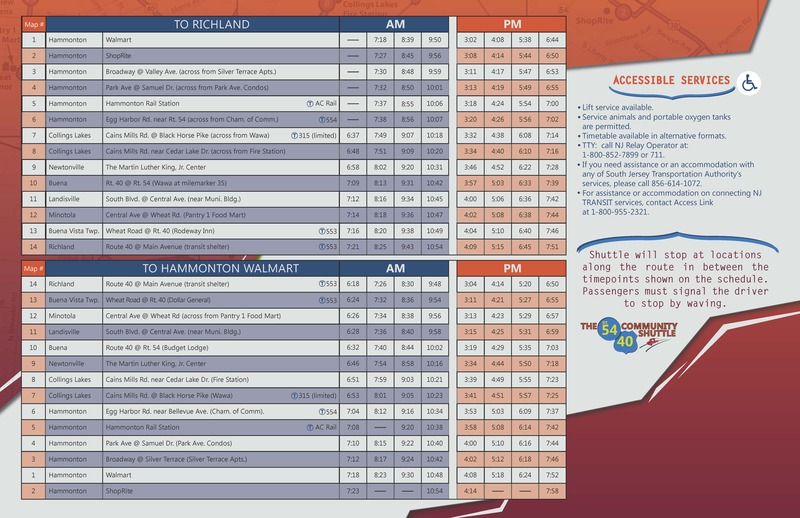 TTY call NJ Relay Operator at 1-800-852-7899 or 711. 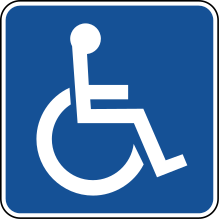 If you need assistance or an accommodation with any South Jersey Transportation Authority’s services, please call 856-614-1072. 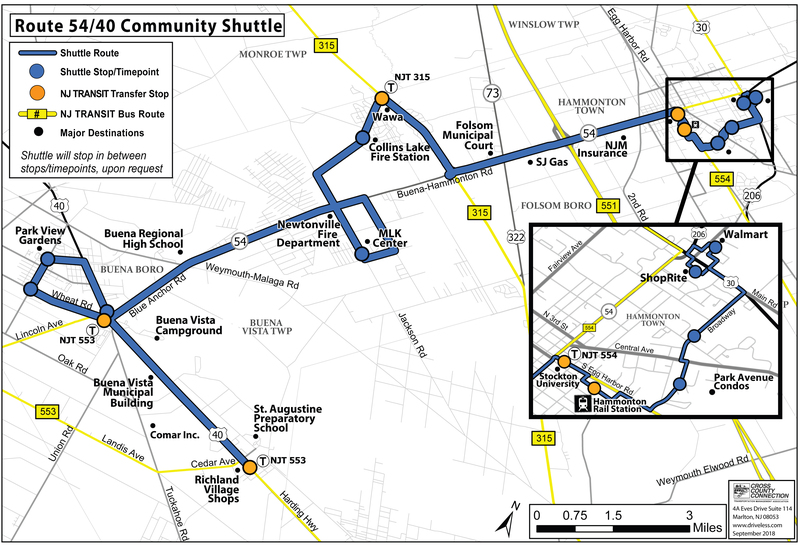 Funding provided by the Pascale Sykes Foundation and NJ TRANSIT, in partnership with Atlantic County, The South Jersey Transportation Authority, and Cross County Connection TMA.